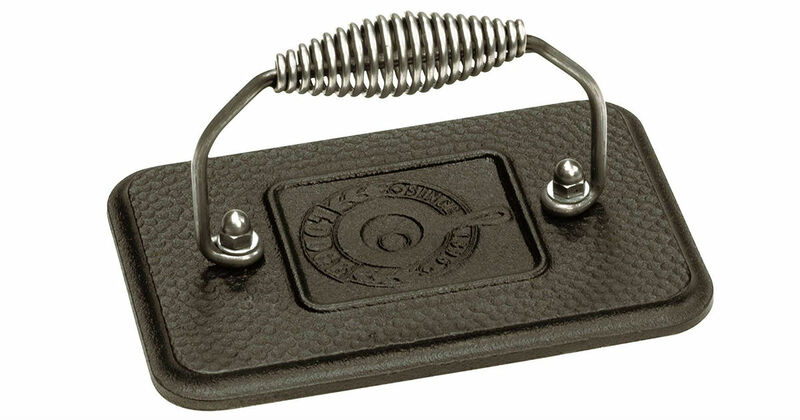 Score this Lodge Rectangular Cast Iron Grill Press for only $11.80 shipped on Amazon, regularly $27.50! Use for squeezing fat from meats or flattening bacon. It is preseasoned with vegetable oil and ready for immediate use. Heavy-duty cast-iron base and "cool grip" spiral handle.